I wish I could tell you that there is a simple template for creating a hospital marketing plan… but I can’t. Not only are there no shortcut examples, the sweeping reforms of the nation’s health care system mean that “what we did last year” is probably no guide to going forward. Patients are empowered with new options and decisions about their care. Hospitals and health systems continue to transition from volume-based to value-based performance. And quality incentives (bonus or penalty) drive administration concerns, decisions and planning. This year is different from last. Next year will be different from this year. And your hospital marketing plan—a three-dimensional, photomosaic jigsaw puzzle—needs to be fresh from the factory, and you don’t have a lot of time or resources to fit all 750+ pieces together neatly. GOALS: Clearly define the business objectives and how to quantify and measure them. To make a meaningful and measurable impact, marketing goals must directly support the organization’s top-level goals. Additional goals will account for your most marketable and profitable hospital service lines, ongoing programs, community endeavors and other measurable marketing activities. For clarity, goals should be SMART: Specific, Measurable, Achievable, Relevant and Tangible. BUDGET: Think big enough to make a difference. In addition to the dollars, it’s important to provide the people, talent and time necessary to have impact and achieve goals. When resources are limited—a nearly universal situation—it is wiser to underwrite one highly successful component that makes a significant difference than it is to shortchange several efforts that are mediocre or wasteful. For step-by-step details, here’s how to scientifically establish a marketing budget for hospitals. SWOT: The big-picture self-exam to guide planning. No less than twice each year, a candid and top-level evaluation of Strengths, Weaknesses, Opportunities and Threats will analyze and evaluate the significant influences that work for or against your strategic objectives. How this works — including seven simple rules for a successful SWOT analysis — are presented in this companion article. Geography: Where are they located? Demographics: What is there age, gender, etc.? Psychographics: What personality, lifestyle characteristics? Behavior: What are their primary needs and wants? An “everyone and everywhere” approach is ineffective… and it squanders resources. To produce the best results, define your target audience with precision. COMPETITION: It most certainly has changed. Driven by force of “reform,” mergers, acquisitions, rollups and other influences continue to shuffle healthcare’s volatile competition landscape. Detailed competitive research—online, in the media and by service line—is highly likely to reveal where patients are seeking care in the marketplace. In addition to other hospitals and health systems, retail medical clinics, pharmacy chains and independent medical groups are likely to be on your list. BRANDING: Communicating why you are different (and better). Hospitals and health systems are challenged to be “top of mind” with the public at the time their services are needed. Branding, positioning and hospital brand distinction are critical marketing elements that make your organization recognizable and positively perceived by patients and the public. 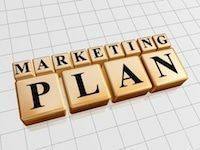 STRATEGIES AND TACTICS: Marketing’s nuts-and-bolts action plan. Custom-fitting the final roadmap evaluates and aligns your goals, strategies and tactics. On one hand, it can be a complicated process to weigh the marketing elements that are most appropriate, cost-effective and effective. (This is one area where outside professional help is valuable.) Not to be overwhelmed by the options, in healthcare marketing, there are only six critical channels to consider. Branding – How will this plan effectively communicate the unique value proposition that distinguishes you from the competition and will be foremost in the mind of the public? Branding is an expression of the hospital’s reputation and its value to the public it serves. External Marketing – What are the precision-targeted, cost-effective and compelling advertising efforts to reach, inform and attract people who can benefit from your services? Internal Marketing – What are the objectives, tools and tactics that communicate with your existing—and influential—internal patient and referral base? Internet Marketing – How engaging is your hospital’s online presence—optimized website, content-rich blog, pay-per-click (PPC) advertising, social media—where patients are increasingly searching for information, facilities and providers? Professional Referrals – What is the best system to assure the continuing and growing flow of referrals from providers in the hospital service area? Publicity and PR – How will this plan extend community awareness, recognition and goodwill through free exposure opportunities in newspapers or broadcast media? Creating an effective hospital marketing plan, one that produces desired—and measurable—results, is often a collaborative effort within the organization and with the help of outsource professional guidance. Ultimately, the test of success is in knowing how the plan has achieved the intended goals, delivered patients to priority service lines and produced a quantified Return on Investment (ROI).